Large Storage Box topped with an Amethyst Cluster. 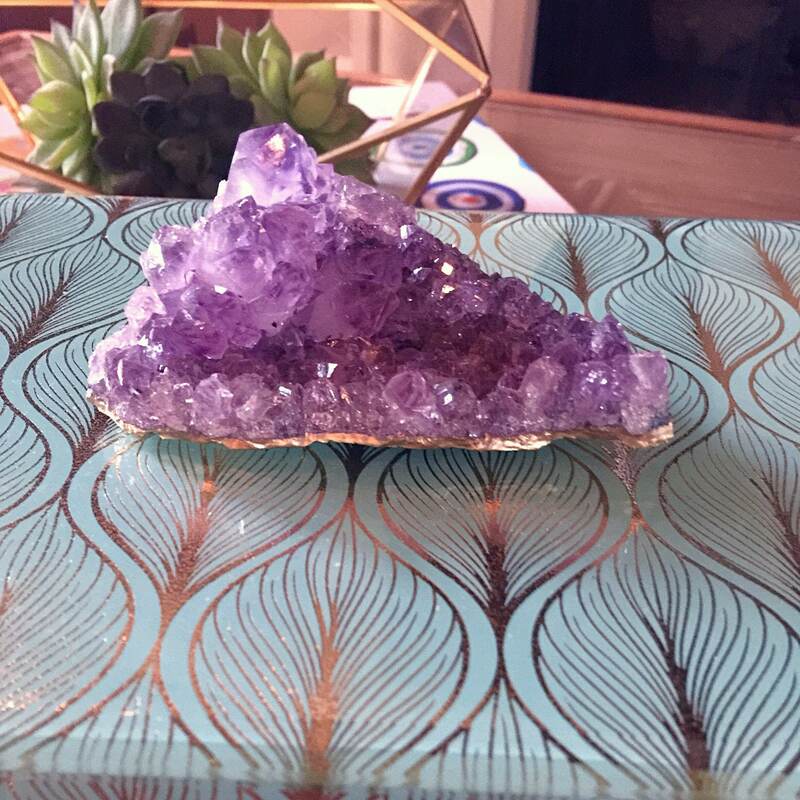 Amethyst home decor. Free US Priority Shipping in time for Valentines Day! Robin’s Egg Blue and gold beveled glass. This is a one of a kind box that is both beautiful and functional. Large enough to hold your jewelry, TV remotes, etc. Functional yet stylish gemstone organization box for vanities, desks, display cases, and shelves. Beautiful quartz home decor. We offer custom baskets, canisters, jars, and boxes for storage solutions that stun. From gemstone and agate-topped acrylic boxes and vanity storage to lacquered and glass boxes. 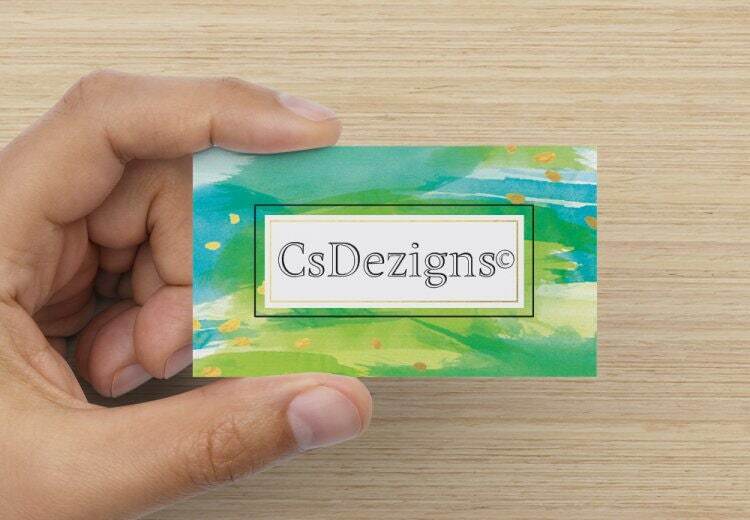 Please ask me any questions you may have or inquire about a custom piece. 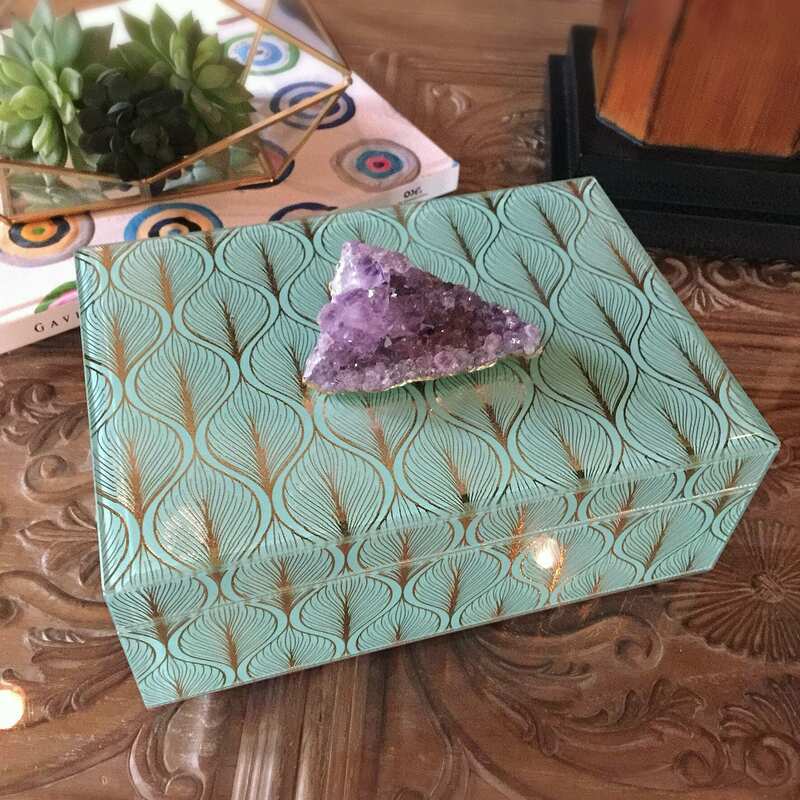 Extra Large hinged box is made from beautiful glossy two dimensional beveled glass, lined in pale gray velvet and measures 5" H (including the amethyst cluster) x 10" W x 7" D. Large Amethyst Cluster is approx. 3”W x 4”L. 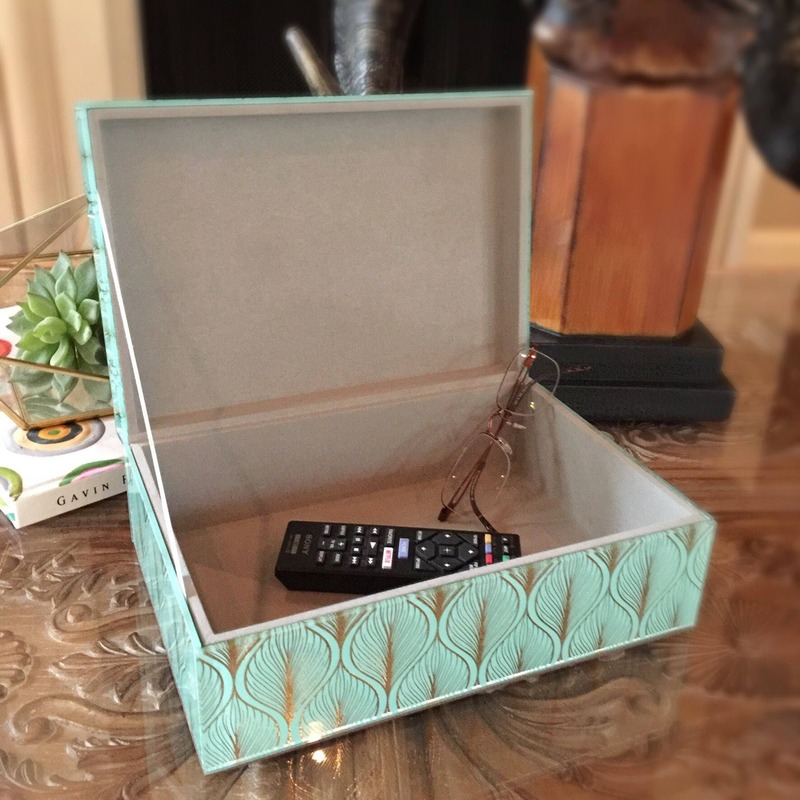 The box color is a beach glass blue/ robin’s egg blue-green with a gold metallic peacock feather pattern. Topped with a beautiful large Amethyst Cluster specimen. Amethyst Cluster is brilliant and sparking! 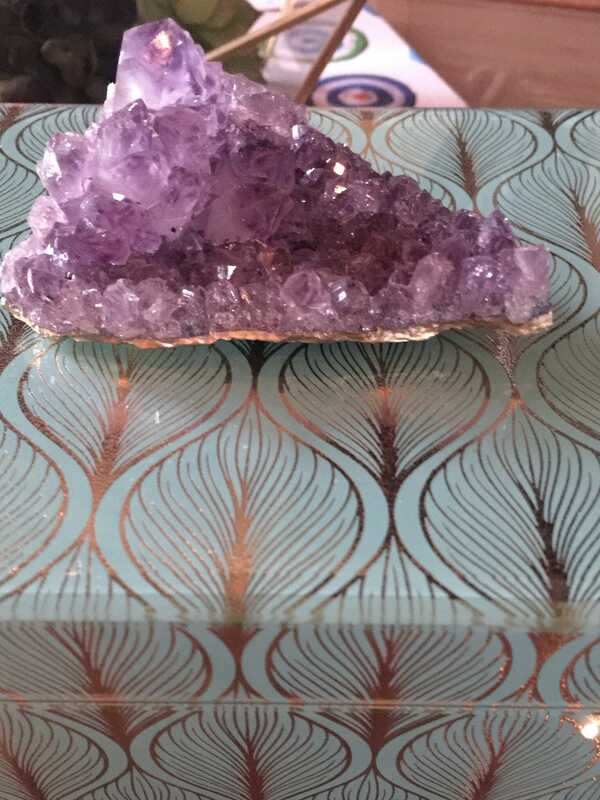 The Amethyst on top of the box is thinly edged with gold leaf. 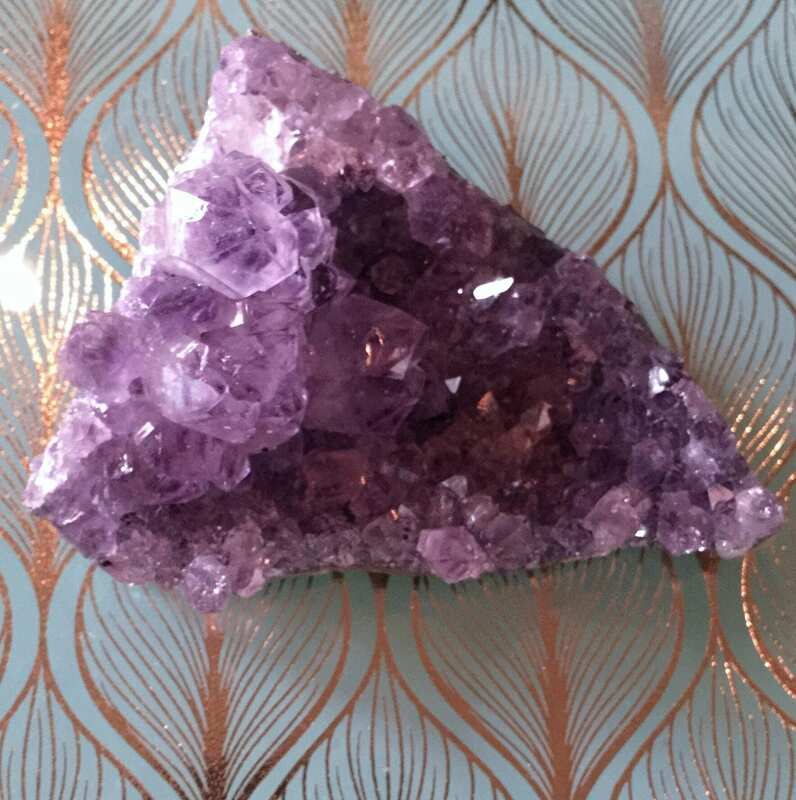 Amethyst is crystalline quartz in varying shades of purple, lilac or mauve. A stone traditionally worn to guard against drunkenness and to instill a sober mind. The word amethyst comes from the Greek meaning "without drunkenness" and amethyst is believed to protect one from poison." 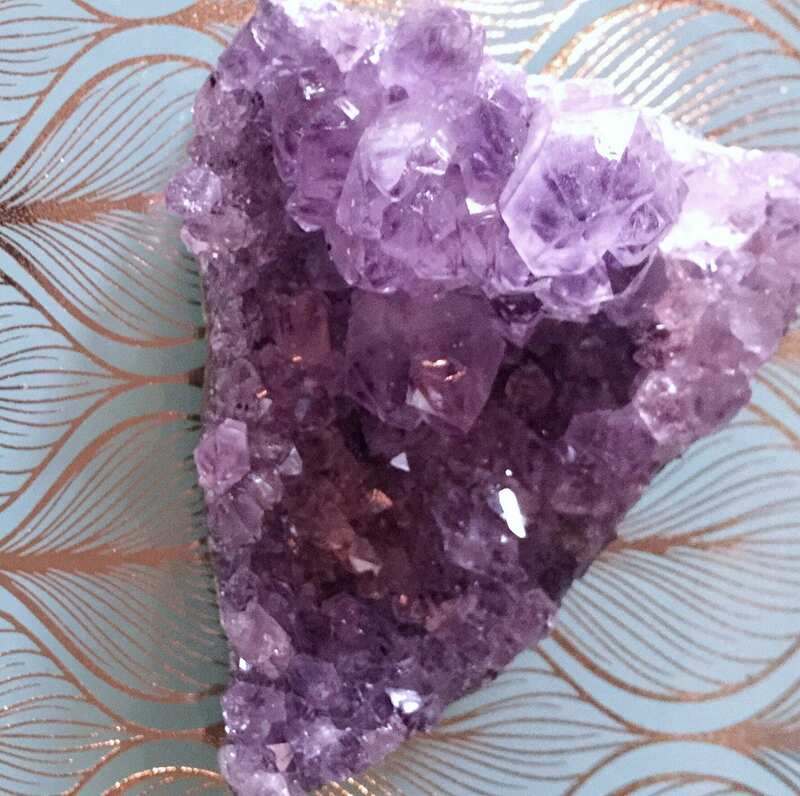 Amethyst Quartz has become one of the most popular crystals on earth. It is believed that Quartz heals, cleanses, balances and strengthens the chakra, resulting in physical, mental and emotional well-being.